When speaking about short sales, there is no topic that is more common than that of unpaid liens. How do you deal with unpaid liens—not only mortgages but unpaid judgments or even an overdue HOA bill that has become a lien on the property. Pardon my candor, but the HOA (the homeowner’s associations) can be a deal killer—not just a short sale deal killer, but a real estate deal killer in general. What Should You Do if the Short Sale Lender Does Not Pay the Fees? When you take a short sale listing, you need to advise your seller that not all short sales are free (that is, completed at not cost to seller). (Remember the lyrics to the Beatles song, Money?) There are often a few costs that the seller may still have to absorb in association with a short sale transaction. One of those such costs in the HOA. First and foremost, a seller should always attempt to keep the HOA dues current, since there is no telling whether the bank will approve any proceeds towards unpaid HOA dues. Second, it is possible that HOA docs will need to be ordered well before the transfer of title, and someone may have to pay for those documents at the time the order is placed. Sellers and agents need to have a plan in place to pay for HOA docs, transfer fees, and unpaid dues. Of course, sellers and listing agents may need to engage the buyer and buyer’s agent in their plan. When working on a short sale, it is important to plan ahead and set expectations accordingly. All parties need to know about the HOA unpaid balance and there needs to be a determination made as to who will pay the balance if the bank does not. If you do not want your closing to go askew, do your best to hatch a plan with respect to the HOA fees associated with your short sale transaction. 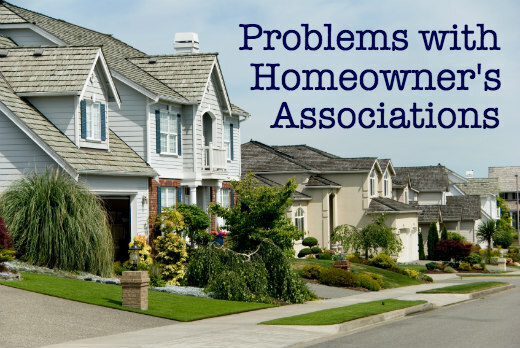 Homeowner’s associations can kill all sorts of deals, not just short sale transactions. Check in with your preferred lender and ask them about loan programs for condominiums and how HOA impacts the kinds of financing available. You’ll be glad you did! Next Post: Does a new president mean more short sales?